Do you ever feel like painting can be monotonous with toddlers? Giant blobs here, tiny scribbles there. Young children get bored easily with the same old paintbrushes and the same old pictures. 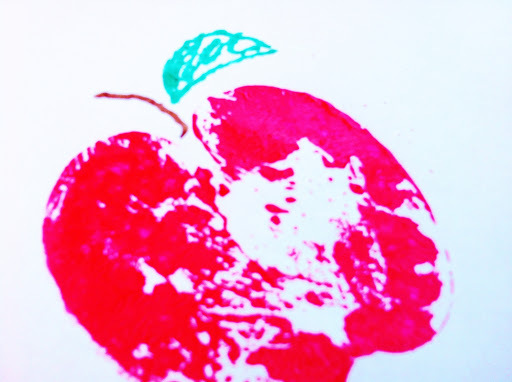 Change up your painting this fall with by adding some texture and creativity to your children’s masterpieces. 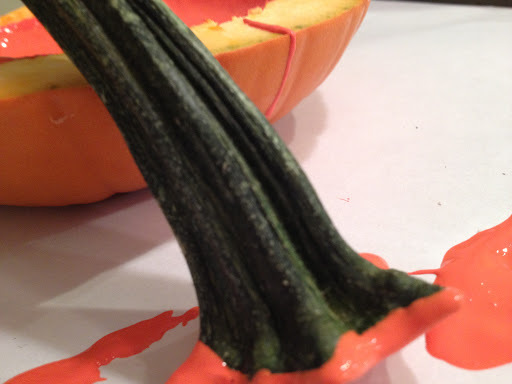 Cut your pumpkin in half and let the little ones help you scrape out all the stringy insides. Take off the stem and you can use both halves as paint bowls. It’s a great way to spruce up a painting activity at your child’s Halloween party, especially if you use lots of blacks, oranges, and purples. Get more creative with the pumpkins by chopping them up even further. You can cut up pumpkin pieces into little shapes for stamps and add a craft stick as a handle. 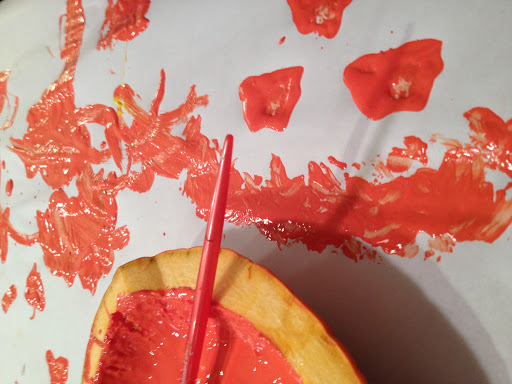 Or you can even let the kids paint with the pumpkin stem as a paintbrush! Cut the apples in half and insert a craft stick on the skin side as a handle. 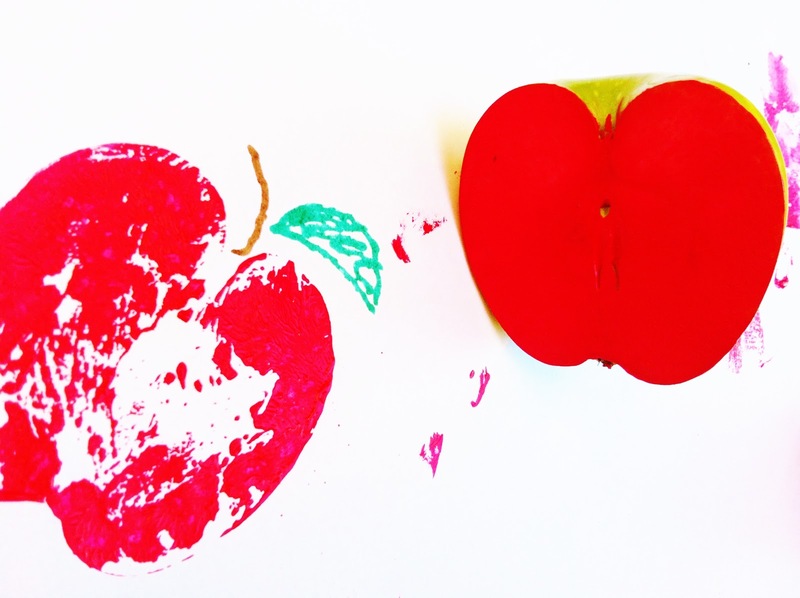 Now let your little ones create their own painted apple trees with real apples! Use markers or paintbrushes to add stems and leaves. « Concussions: Do Your Charges Play Team Sports? Thx this is such a cute idea I will be doing this month.